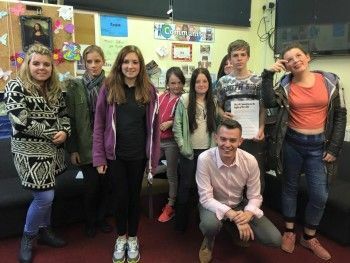 Cumbria Youth Alliance received a grant of £1,000 from the Cumbria Young People’s Fund towards a new project which aims to engage young people in the democratic processes and structures. The ‘Every Young Voice Counts’ project was designed to generate interest in how local decisions are made and how young people can influence these decisions. A series of democracy workshops were delivered to more than 350 Cumbrian youngsters in schools and youth clubs. The project has so far worked with the Carlisle Youth Zone, Northside Community Centre, Wigton Youth Station, NACRO Carlisle, Whitehaven Harbour Youth Project, Inspira, and the National Citizens Service. of democracy and who the key decision makers are in the county. Young people aged between 14-24 have taken part in activities that included a local budget exercise and a debate of issues that were important to them. They were also given the opportunity to register to vote. Funding was also secured from the Rank Foundation to deliver this project.